February is Black History Month and to celebrate and educate we are running a campaign that will showcase a different Black musical leader that changed the world. We’re also giving away concert tickets. Concert tickets to the first American music genre, jazz. Jazz is Dead presented by Artdontsleep at the Highland Park Lodge Room always assembles some of the most powerful musical evenings you can experience in Los Angeles. 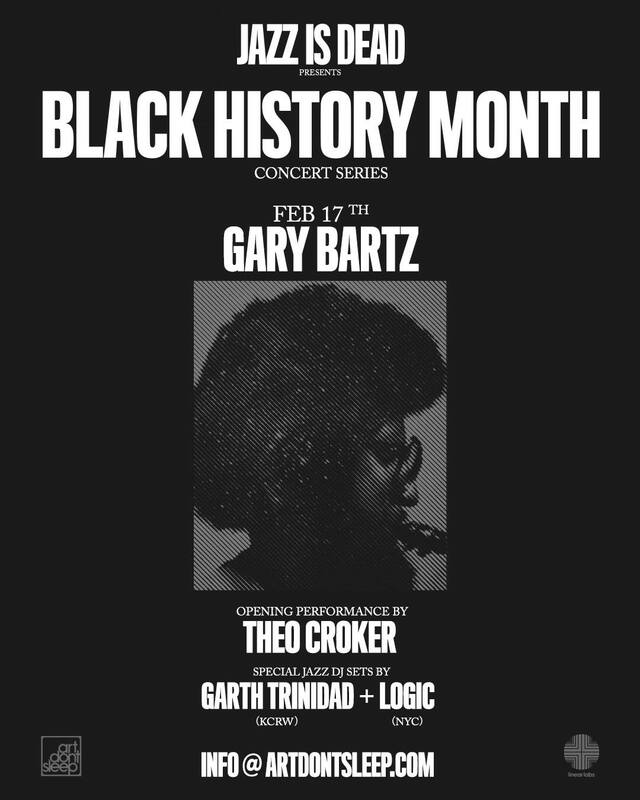 With three concerts in their Black History Month series, we are giving away two pairs to their first two shows. 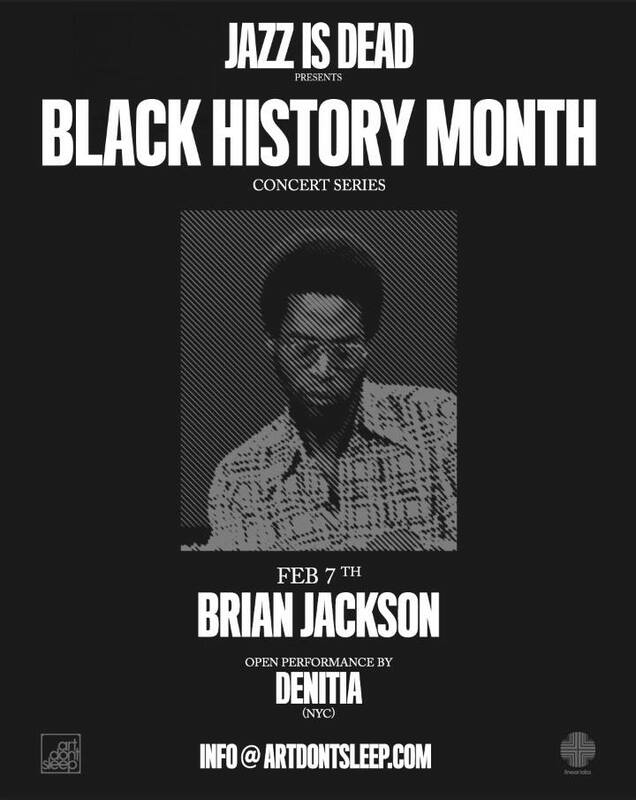 Brian Jackson is an American keyboardist, flautist, singer, and composer, known for collaborating with Gil Scott Heron. You can buy tickets to his February 7th performance at the Lodge Room here. 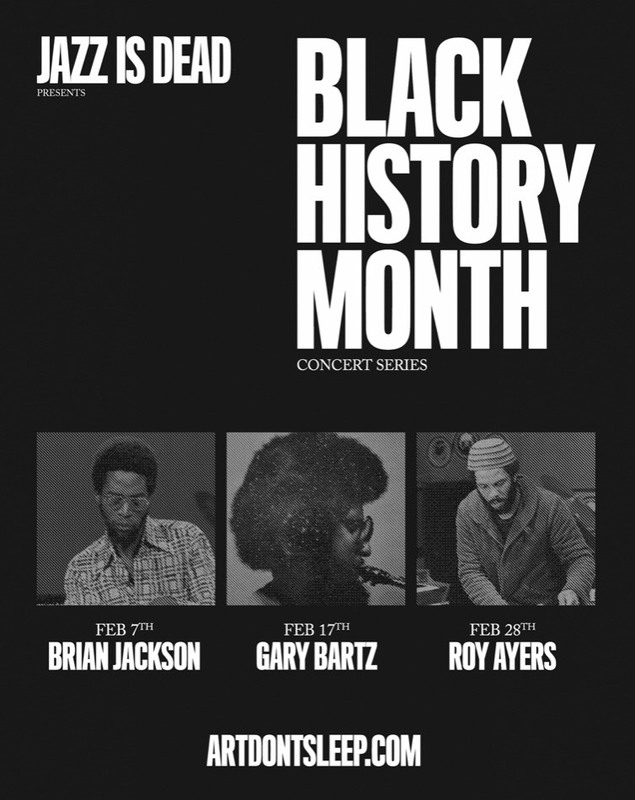 Gary Bartz performed in Charles Mingus’ jazz workshop and was a member of Miles Davis’ band. Combining funk, jazz, and soul, Gary Bartz’s saxophone is unforgettable. You can buy tickets to his Lodge Room performance here.